Bruxism is when you clench your teeth - tightly holding your top and bottom teeth together - or grind your teeth - sliding your teeth back and forth over each other. There are many people who clench and grind without being aware of it, both during the day and night, although sleep-related bruxism is often the bigger problem because it is harder to control. Sleep bruxism often exerts remarkably powerful forces on teeth, gums, and joints. Estimates range from three to ten times more force than used when chewing. 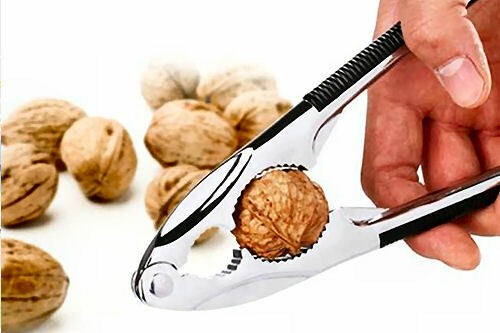 Ten times the force is enough to crack a walnut! Why are these forces so high? Because you are asleep, the grinding activity is not under control of the conscious, rational brain. With normal chewing, some of the force is applied to the food, not to the teeth. When you grind your teeth at night, the entire force is applied directly to the teeth. Grinding can be noisy enough at night to bother sleeping partners. In its initial stages, bruxism is often ignored by patients because it only involves minor symptoms and inconveniences. At a certain point, however, the symptoms begin to noticeably affect one's quality of life and the grinder starts to look for treatment. As part of our strong preventative orientation, if we see any evidence of a problem - such as significant occlusion wear, visual cracks and fractures of the teeth, and hear complaints of jaw pain - we will discuss bruxism with you.Our goal is to help you become aware and treat bruxism before the habit is ingrained and brings about about irreversible damage. If left untreated, excessive grinding can cause significant harm to the teeth. In long-term bruxers, the teeth often appear more yellowish and have softer dentin because the healthy white enamel covering is thin or missing. The back teeth often lose their natural contours, appearing flat, as if they had been worked over with sandpaper. The absence of enamel makes it easier for bacteria to penetrate the softer part of the teeth and produce cavities. As long as bruxism continues, the situation WILL get worse. By age 40 or 50, some bruxers have worn their teeth to the degree that extensive tooth restorations must be performed, such as bridges, crowns, root canals, implants, partial dentures, and even complete dentures. Because we are dedicated to helping you keep your teeth healthy and need as few restorations in your lifetime as possible, we take teeth grinding seriously! Pain and sensitivity of the teeth. Pain in the jaw, especially in the morning. Headaches, neck pain, ear pain or muscle tension. Excessive wear on the occlusion surface of the teeth. Complaints by your sleeping partner. Aversive conditioning (such as awakening the patient during episodes of teeth grinding). Pharmacologic therapy to suppress REM sleep. Changes in sleep position (lying supine with neck and knee support allows the lower jaw to rest). Depending on your symptoms and the conditions that we observe, we may recommend a nightguard or splint to prevent damage to the teeth. The appliance is custom made to your bite for proper fit and comfort. Over-the-counter appliances are not recommended because of the ill-fit and possible dislodging of the appliance during the grinding. Many people think nightguards are all the same and picture a nightguard that is the shape and size of an athlete's s mouth piece. This is not the case. Spints are designed to keep your jaw in a more relaxed position or provide other support functions. We will work with you to make sure you get a nightguard that works for you. If we find that there is no nightguard that works for you, an orthodontic adjustment of the bite pattern may help some people. Surgery should be considered a last resort. Please let us know if you believe you are clenching or grinding your teeth or if you have any questions.